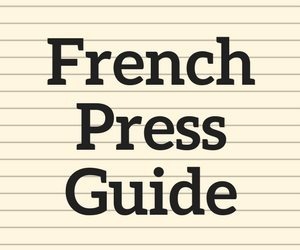 All price references in this article are in US Dollars. 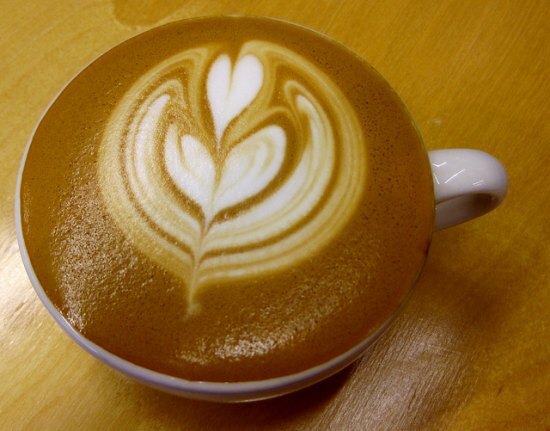 Most coffee fans know that you need an espresso machine to make a latte. Lattes be they iced or hot require espresso and espresso come from an espresso machine. And unlike most coffee brewers which can be purchased for under $100 and often under $50, espresso machines can cost a lot. Over the years I’ve seen home espresso machines for sale in the $300 to $3000 price range. Add another $200 to $1000 for a grinder and a few more bucks for accessories and suddenly you are looking at quite the investment to make your first latte. You also need a dedicated space in your kitchen, which some of us don’t have. This is why a lot of coffee fans make brewed coffee at home and then purchase espresso-based drinks in the coffee shops. Now if you are drinking lattes daily even a pricey espresso machine will pay for itself in time. But spending all that money up front will turn many latte fans off from the idea of making their lattes at home. 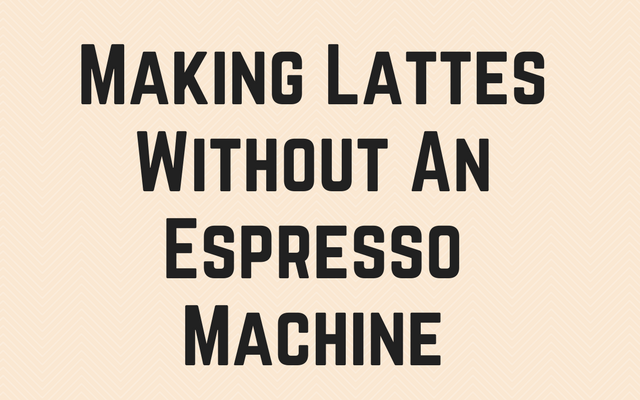 This summer I was asked if one could make lattes at home without an espresso machine. My initial answer was no. Espresso requires pressure. A lot of pressure. Typically 9 bar, which is 9 times the atmospheric pressure at sea level. You can’t do that without an espresso machine. But could you fake it? Espresso is concentrated coffee. In order to have a chance of faking a latte, we needed to find a brewing method that is capable of producing a coffee where the taste approaches espresso. 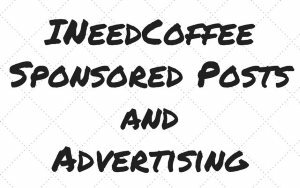 Granted we aren’t going to fool any espresso drinker or enthusiast. The goal is to get close and create a fake latte that will do in a pinch. Three coffee brewing methods were tested. The cold brew concentrate did not work at all. Even though it was concentrated it lacked the mouth-feel, acidity, and richness associated with espresso. It was too clean. When the milk was added it tasted nothing like a latte. It tasted just like coffee with milk. 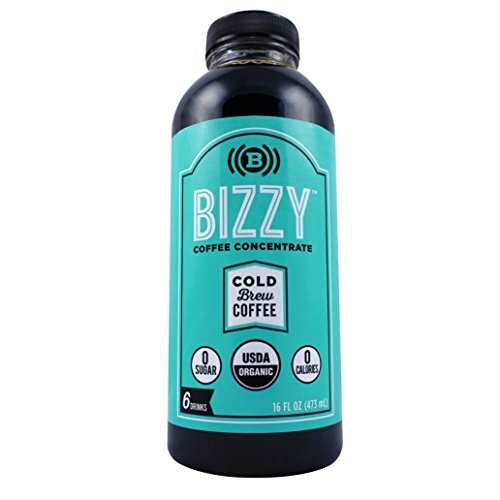 We would like to thank Bizzy for donating the Cold Brew Coffee used to research this article. It is a fine cold brew, but it did not work as a substitute for espresso in our latte challenge. The AeroPress is an amazing coffee brewer. 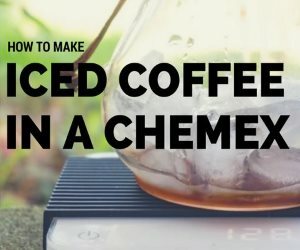 As I covered in the article The Upside Down AeroPress Brewing Tutorial, there are a wide variety of ways to brew coffee. Change the grind, brewing temperature, brewing time or even the position of the brewer and you can still make an excellent cup of coffee. You can also make concentrated fake espresso shots. I’m using the term fake because even though the AeroPress generates pressure with its plunger, it is well short of the 9 bars produced by espresso machines. When making an AeroPress espresso shot, I did numerous tests and found that a 3.5 ratio works best. This means that for every gram of coffee you use add 3.5 grams of water. 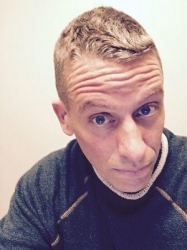 In the first version of this article, I stated I preferred using a traditional method over inverted. I’ve changed my mind and now use the inverted method. The reason is that as your AeroPress ages, the seal tends to weaken. The result is the coffee passes through the chamber too quickly, which can result in under-extracted coffee. Your other option is to use the Prismo replacement filter. 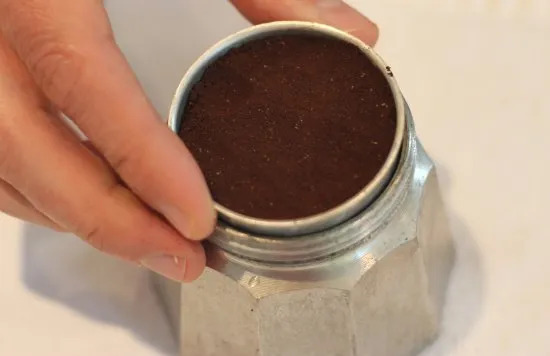 The Prismo was developed to help your AeroPress make more espresso-like shots via a finer filter which has a tighter seal than what comes with the AeroPress. Check out Prismo Filter Upgrade For AeroPress Review and Tips for a detailed review. 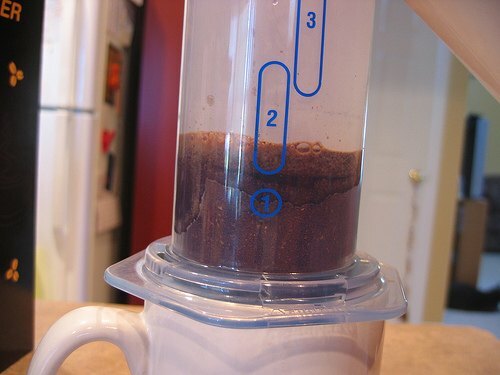 Add 20 grams of fine ground coffee to the AeroPress. Slowly add 70 grams of hot water (202 F). Stir enough to make sure the water is making contact with all the coffee grounds. Break up any clumps. If you would like more espresso volume you can increase this recipe to 25 grams of ground coffee and 87.5 grams of water. If your shot tastes too bitter, you can either reduce the brew time or the water. If it tastes weak or sour, you can increase the brew time or water. As a general rule, lighter roasts need more water or longer brew times. Darker roasts need less. Stovetop espresso makers are also known as Moka Pots or a Bialetti. Despite the name, it isn’t a true espresso machine, because it does not produce the pressure of an actual espresso machine. On a CoffeeGeek forum, there was a discussion that estimated a stovetop espresso maker generated 2 bars of pressure. Despite the lower pressure, the Moka Pot did a fine job of making a concentrated shot of coffee. For guidance on this brewer, see the article Stovetop Espresso Brewing Tutorial. I got the best results when I filled the bottom chamber with water until it was about 70% full. You may need to tweak that number for personal preference. That is just a starting point. I used the 3-cup Bialetti for my test. Both the AeroPress and the Stovetop Espresso Maker did a fine job. If you already have one of these brewers, use it. With the AeroPress, I can control the time the water makes contact with the beans. Also since I have a great electric kettle, the brew time is faster. And the Prismo filter slightly improves the shots I would normally get from a standard AeroPress.However, if you need more “espresso” volume, the larger 6-Cup Bialetti model beats the AeroPress. Now that we have our “espresso”, let us get the milk portion. Since our “espresso” shots are not going to be as intense as true espresso, it is a good idea to reduce the amount of milk in your drink. Start with half the amount of milk you normally drink and gradually increase it to the level that suits you. If you decide to make an iced latte, all you need is milk and ice cubes. Done. For hot lattes, we need to heat and froth milk. For this task, there are wands that froth the milk that cost between $6 and $15, but you will need to warm the milk yourself. In the $40-$130 range, there are dedicated milk frothers that will also heat the milk to the perfect temperature. These milk frothers have gotten very impressive in recent years. 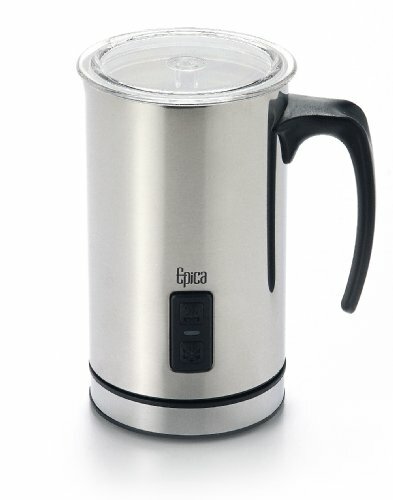 Epica Automatic Electric Milk Frother and Heater Carafe – We have not used this model, but it has over 3,000 reviews on Amazon and they are mostly positive. In the event you’ve tried the ideas in this article and you aren’t satisfied, yet you still don’t want to drop a lot of money on a counter-top espresso machine, there is a middle option: Handheld espresso makers. They run around $100 or less and have built-in hand pumps. See our article Battle of the Handheld Espresso Makers: Handpresso Wild Hybrid vs Wacaco Minipresso GR for more information on this brewing method. I also want to mention the UniTerra Nomad, which runs close to $300. You can not replicate espresso without an espresso machine, but you can get closer if you use the AeroPress or Stovetop Espresso Maker along with a milk frother. Whether it is close enough for your tastes, only you can make that call. But it when it comes to economics, it isn’t even close. You can make a fake latte at home for under $1. With coffee shops charging $3 – $4 for the same drink, you can save $2 – $3 per order. It doesn’t take too many days before you have enough money saved to buy your own espresso machine. 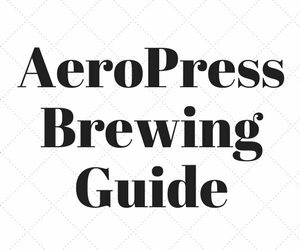 Prismo Filter Upgrade For AeroPress Review and Tips – A filter replacement that will help you get better shots with an AeroPress.